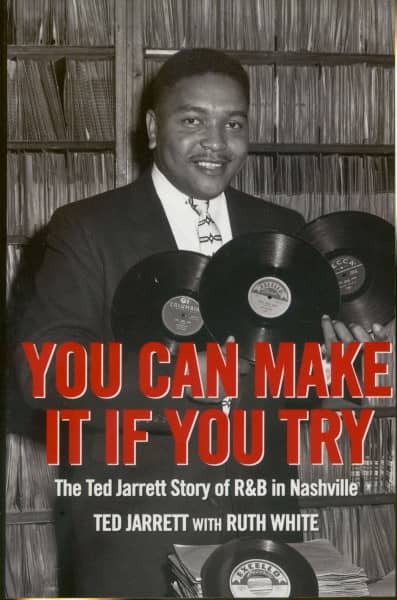 Ted Jarrett has been a central figure in Music City's rhythm & blues scene since the 1950s, working as a hit songwriter, musician, producer, label chief, artist manager, talent scout, and disc jockey. You Can Make It If You Try provides a fascinating and instructive look at one man's drive to succeed in the world of music. In rich and frank detail, Jarrett and co-writer Ruth White describe the circumstances under which Jarrett discovered and nurtured top R&B talent. They introduce the numerous musicians, nightclubs, record labels, and radio stations on the scene; and they explain the inspirations behind Jarrett's best-known songs. 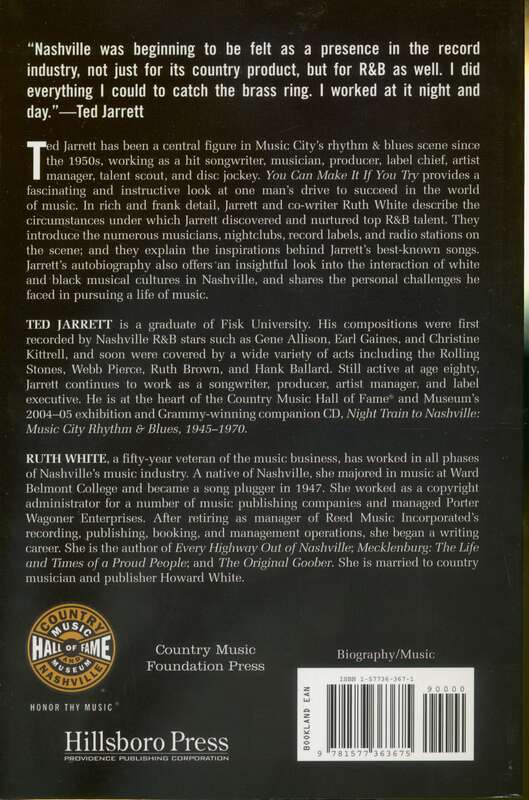 Jarrett's autobiography also offers insightful look into the interaction of white and 'black musical cultures in Nashville, and shares the personal challenges he faced in pursuing a life of music. TED JARRETT is a graduate of Fisk University. His compositions were first recorded by Nashville R&B stars such as Gene Allison, Earl Gaines, and Christine Kittrell, and soon were covered by a wide variety of acts including the Rolling Stones, Webb Pierce, Ruth Brown, and Hank Ballard. Still active at age eighty, Jarrett continues to work as a songwriter, producer, artist manager, and label executive. He is at the heart of the Country Music Hall of Fame® and Museum's 2004-05 exhibition and Grammy-winning companion CD, Night Train to Nashville: Music City Rhythm & Blues, 1945-1970. Kundenbewertungen für "You Can Make It If You Try - The Ted Jarrett Story of R&B in Nashville"